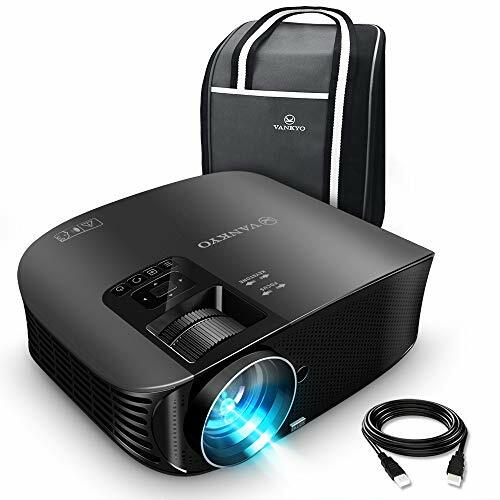 VANKYO Leisure 510 Full HD Projector with 3600 Lux is currently selling at $189.99, approximately $0.22 lower than average, giving a potential saving of $75.17 right now. With a lowest price of $189.99 and an average of $190.21 it is selling on the low end of its usual range. Price volatility is 0.45% (meaning it does not change often), so the price should stay low for a while. Right now this product is a recommended 'good deal'. The current deal is also the best price on this item over the last month. 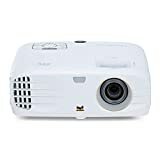 Compare the current price, savings (in dollars & percent) and Buy Ratings for the top Portable Projectors that are closely related to VANKYO Leisure 510 Full HD Projector with 3600 Lux. Here is how VANKYO Leisure 510 Full HD Projector with 3600 Lux compares with other leading Portable Projectors. 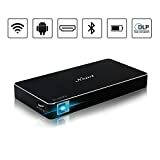 Features:VANKYO LEISURE 510 is a portable video/movie/Game projector with HDMI/VGA /USB/SD/AV Input, ideal for home entertainment and small office presentation. FeaturesFULL HD VIDEO PROJECTOR SUPPORT 1080P: VANKYO LEISURE 510 Movie Projector utilizes the upgraded LED light source and TFT LCD display technology, which significantly reduces light attenuation and provides +80% brightness than ordinary projector. Supporting 1920x1080 resolution, 1000:1 contrastMULTIMEDIA CONNECTION & FULL FORMAT SUPPORT: LEISURE 510 HD projector equipped with a variety of inputs, including HDIMI, VGA, AV, USB and Micro SD. Dual HDMI & USB ports design makes it more convenient to use. Built in playing engine for full format videos, the decoding skill can support most video formats.BIG SCREEN HOME CINEMA PROJECTOR: Supports 44 - 200 inches projection size with distance 4.9-18 feet, 4.9 feet is the shortest distance to focus, and the best viewing distance is 10 feet with 98 inches. Easy to create a private home cinema, enjoy movies with your friends and families.HIFI LEVEL STEREO AUDIO PERFORMANCE: Built-in two 3W stereo speakers offer excellent audio support. Easy to set up without the need for costly external speakers.